Howard Gardner Professor in Cognition and Education, Harvard Graduate School of Education, and author of The Disciplined Mind and Frames of Mind A wide-ranging exploration of the myriad ways in which young minds differ, coupled with vivid and useful recommendations about developing those minds to the fullest. Edward Hallowell, M.D. instructor, Harvard Medical School; director, The Hallowell Center, Sudbury, Massachusetts; author of Driven to Distraction and Human Moments. 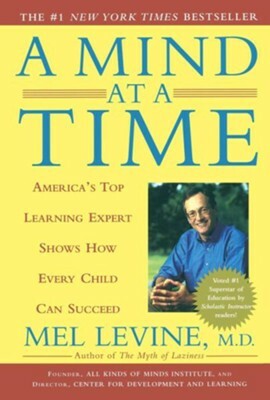 A Mind at a Time continues Mel Levine's enormously valuable lifework of helping children find success....Brimming with intelligence, humor, wit, and originality...this is a groundbreaking and useful book. I'm the author/artist and I want to review A Mind At A Time.